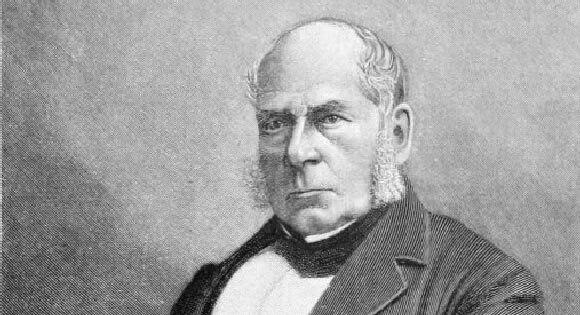 Sir Henry Bessemer was a British engineer and inventor who is most well known for devising a cheap process of manufacturing steel. Bessemer was born in 1813 in Charlton, Hertfordshire, England. His father, Anthony Bessemer, was also an inventor and a member of the French Academy of Science, for his contributions to the improvement of the optical microscope. In later life, Anthony settled in Hertfordshire where his son Henry was born. Bessemer was largely self educated, a fact that he often attributed to his success. He felt that his lack of formal education gave him a flexibility of thinking that others did not possess. He moved to London at the age of 17 where he made his first major contributions. This included a process for making metallic paints that were in high demand but so far were only available in Germany. German manufacturers jealously guarded their production secrets, and as a result were able to charge premium prices for their products. Bessemer studied the paint and devised a method of producing it by inventing a machine that created a bronze dust. When this bronze dust was added to regular paint, it gave the desired metallic effect to the paint. This became a best selling product and Bessemer was able to make a considerable profit from it. In turn, he kept the production method a closely guarded secret within his family. The profits from the sale of these paints allowed Bessemer to focus on his other interests and inventions. Another important invention was an official authorization stamp developed for the British Stamp Office. Forged documents were a persistent problem in those days and Bessemer contributed to its solution by developing a unique stamp that would be embossed into the paper and would therefore be much more difficult to replicate. Later, at the suggestion of his fiancé, he added a movable feature to it that would allow the date to be changed and this would make the stamp almost forgery proof. The Stamp Office really appreciated Bessemer’s idea but he was not compensated for it. Instead, he received a job offer of the position of Superintendent of Stamps. Bessemer was unhappy with the treatment he had received as he had been expecting a reward or payment for his novel contribution. Bessemer’s most important contribution was the development of a cheap process for making steel. In those days, the preferred metals in production were either iron ore or cast iron. This was during the time of the Crimean War in the 1850s so cannons were an important consideration for the British Navy. At that time cannons were made of cast iron but the newer types of explosives were unsuitable for use with the old cannons and there were often accidents and mishaps. Steel was a much better alternative to iron but it was extremely expensive to produce which rendered it useless in large scale manufacturing. Henry Bessemer was able to discover a process to create a new form of steel by blowing air across molten iron which removed the impurities and made the steel lighter, more malleable and much cheaper to produce. Bessemer opened up his own production facility in the north of England and became a very wealthy businessman. Some of his success can be attributed to the fact that others were unable to replicate the same results using the same process. It was later discovered that this was due to the presence of phosphorous in the iron, something which was lacking in the iron found in the north of England (that is the type used by Bessemer). Bessemer’s success led him to receive a knighthood in June 1879, the same year that he was also made a fellow of the Royal Society. He received numerous other honors including being elected as a Foreign Honorary Member of the American Academy of Arts and Sciences. He died in March 1898 at the age of 85 in London.